I wondered how many of you would know the answer to my latest history quiz, which asked which Scottish monarch was the last to be crowned on the Stone of Destiny, otherwise known as the Stone of Scone. The answer, as about 43% of you knew, was John Balliol, in 1292. Sadly for John, history remembers him as a weak and ineffectual king, both as a ruler of his people and as a commander of Scottish forces. It may well have been, of course, that he just didn’t want to be king, because he ended up fleeing to France and spending the rest of his days there. The stone which John had been crowned on, however, lived a much more exciting and adventurous life. There are so many legends and stories about its origin that it really deserves a mini-series in its own right. I’m inserting a polite warning here: this post is probably the length of a small book! In 1296, four years after John’s coronation, the Scots suffered defeat at the Battle of Dunbar. Edward I, the ‘Hammer of the Scots’, continued to make rapid progress through Scotland, taking possession of its principal castles and religious centres, which included Scone Abbey. Aware of the history and symbolism of the Stone of Scone, he had two iron rings attached to it and lost no time in despatching it to England, along with the Scottish ‘Honours’ or crown jewels and St Margaret’s holy rood. Meanwhile King John was taken prisoner, and the Great Seal of Scotland was smashed. In a public display of humiliation usually reserved for knights who had committed treason, the Bishop of Durham stripped the red and gold royal arms from John’s surcoat; he was then taken to the Tower of London. John’s abiding nickname, ‘toom tabard’, or ‘empty cloak’, is a reminder of his fate and it also sums up national opinion of him at the time. 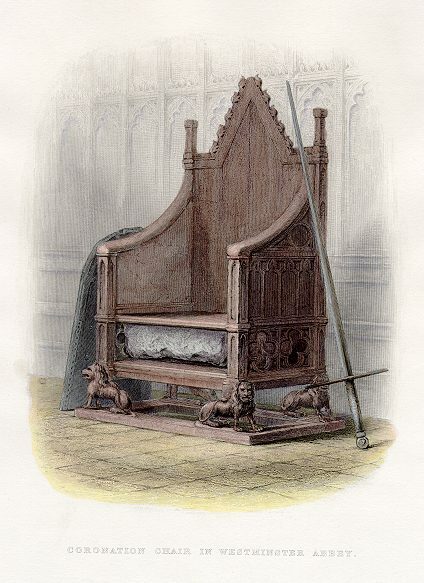 Once the Stone was in England, Edward gave it into the care of the Abbot of Westminster, and had a Coronation Chair specially designed to contain the Stone in its base, where it remained for the next 700 years. 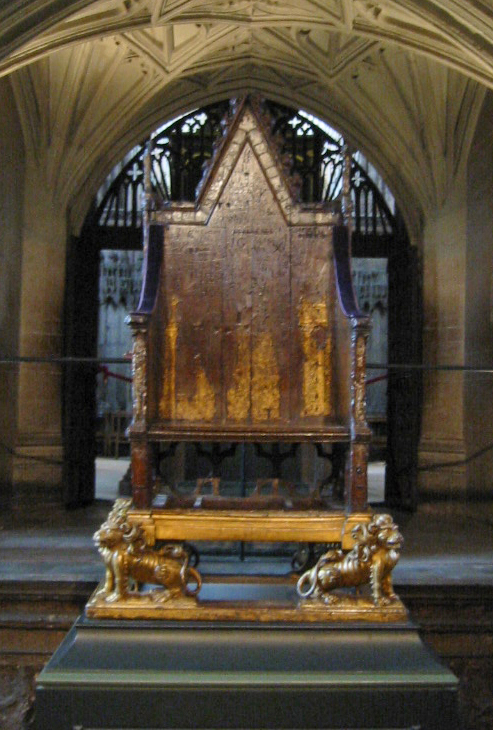 Apparently, until the return of the Stone to Scotland in 1996, the Coronation Chair in Westminster Abbey was the oldest piece of furniture in England which was still used for its original purpose. There are some historians, however, who doubt that the lump of sandstone which Edward seized as the ultimate Scottish souvenir was actually the real one. According to one source, Edward I sent a raiding party back to Scone Abbey in 1298, in search of something – but whatever it was, they returned empty-handed. If the monks had swapped the stone for a fake, they had hidden the original one very well. Interestingly, Edward III offered to return the Stone three times: at the Treaty of Northampton in 1328, which recognised Scotland as an independent nation following the victory of Bannockburn; a year later, in 1329; and finally in 1363. If the Stone was the real one, some historians argue, why did the Scots not accept it back? Was the original Stone buried in some remote, misty hillside? On an estate near Scone in the late 18th or early 19th century, two farm lads were exploring the site of a landslide that had been caused by heavy rain. They discovered that it had exposed a narrow fissure in a rock, and, looking through it, they could see an underground chamber, part-filled with debris. In the centre of the chamber was a carved stone, raised off the ground on four pillars. You can almost hear the Indiana Jones theme in the background! The lads thought no more of it at the time (this fact alone makes me a little sceptical!) but a few years later one of them heard the story of the Stone of Scone and wondered if they had stumbled across it. On returning to the hillside, he was unable to locate the hole in the rock; perhaps it had been hidden by another landslide or fresh undergrowth. Maybe the monks didn’t hide the Stone at all, but arranged for its safe keeping elsewhere: the writer and historian Nigel Tranter believes that Robert the Bruce gave the real Stone of Scone into the custody of Angus Og MacDonald, Lord of the Isles, who hid it on the Isle of Skye. 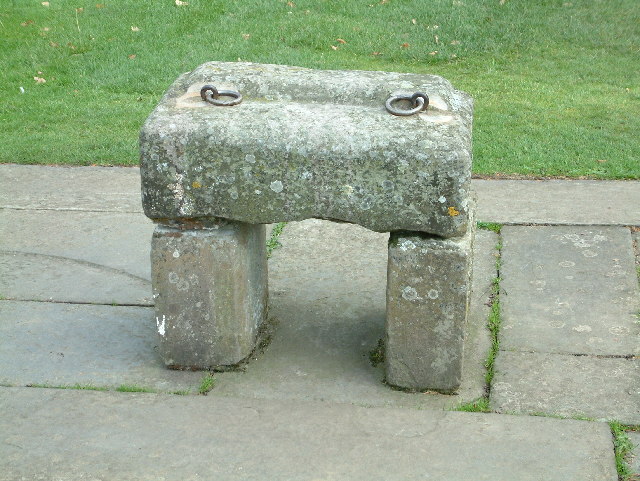 The origins of the Stone of Scone are, like many Scottish artefacts, blurred by the passing of time and the embellishment of folklore. At Tara in Ireland stands an ancient upright stone known as Lia Fail (‘the speaking stone’), which was believed to name the next king who would be crowned. Some historians link this with the Stone of Scone – in fact, they could be fragments of the same rock. An old legend says that the Stone of Scone was used as a pillow by Jacob in Biblical times, and was saved by refugees fleeing from persecution in Jerusalem. The travellers, among them a Princess known as Tea or Scota, fled through Egypt, Sicily and Spain, and finally arrived in Ireland. Princess Scota is said to have married the High King of Ireland around 600 BC, and later a chunk of the Stone was carried across the Irish Sea to Dunadd, the seat of power of the Scots’ kingdom, Dalriada. I should say here that I don’t think there’s any tangible evidence for this story or for the existence of Princess Scota, but it is a lovely tale even so. Blessed by St Patrick, the Stone was used as a crowning seat for the Kings of Dalriada until about 850 AD, when Kenneth I moved it to Scone; for ceremonial occasions, it was transported back to important sites at Iona, Dunadd and Dunstaffnage on the west coast. Some early sources describe the Stone of Destiny as being made of dark basalt or white marble, and decorated with carved figures. One story claims that the stone was quarried in the Iona area, and originally served as St Columba’s altar. If it was of Pictish or Celtic origin, it is likely to have been covered in inscriptions, like many stones and crosses from that period. 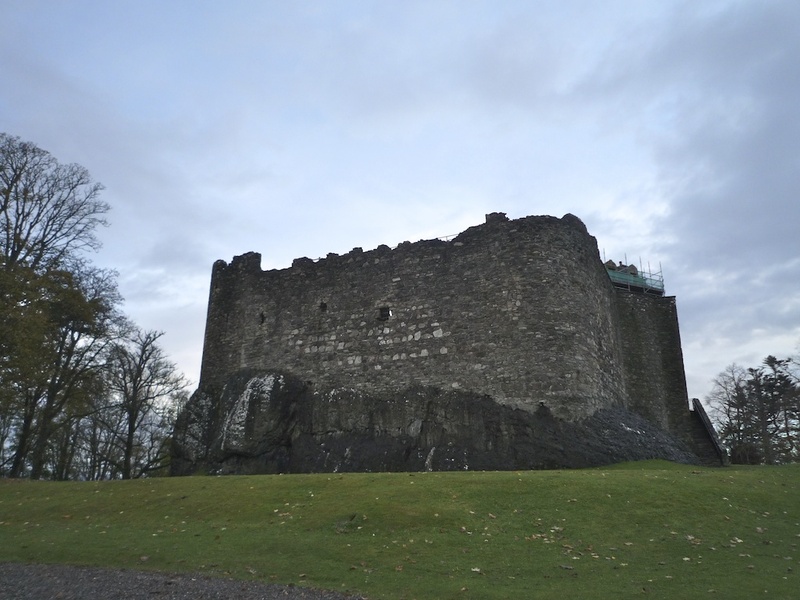 This has led some historians to speculate that the ‘real’ Stone stayed near Dunstaffnage, and remains hidden. It should be emphasised that all the above stories are pure speculation – but the fact remains that the present-day Stone of Scone in Edinburgh Castle is hewn from red sandstone, which can be traced to the Scone area. The monks may have had a replica created… or, faced with an impatient English monarch, they may have cast about for any ready-made oblong boulder that was to hand. One story even suggests that they used the stone lid of the royal cesspit! Whatever its provenance, the Stone that was seized by Edward I and taken back to London remained in its custom-made position, underneath the Coronation Chair, until Christmas Day 1950. On that morning, four Scottish students, intent on doing their bit for Scottish independence, staged an outrageously daring heist in the style of The Italian Job. 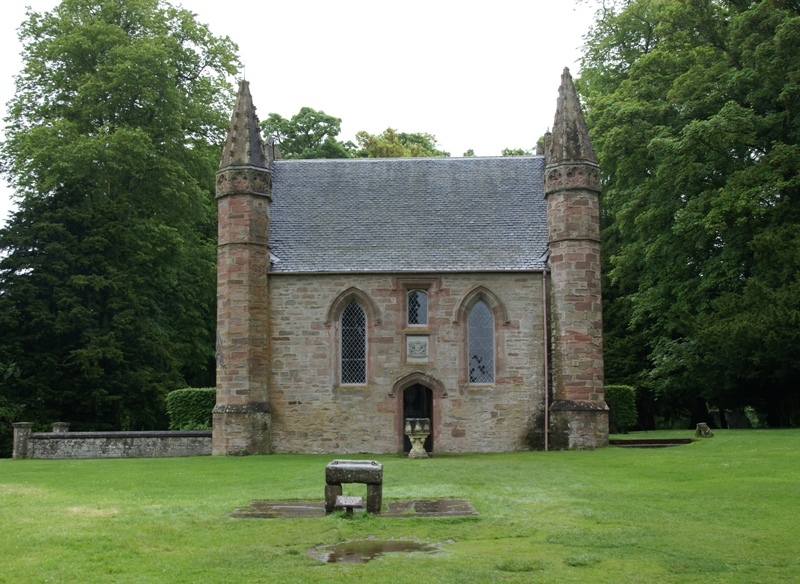 One of them, Ian Hamilton, had found out that the easiest way into the Abbey was via a side door which was made of pine – more yielding than heavy oak. They gained access with a crowbar, and while one of them waited in a get-away car, the others tugged at the Stone in an attempt to free it from the Chair. It was so heavy that it toppled and broke into two pieces… but, Hamilton recalls, this made it easier to carry. With a night watchman already raising the alarm, the four made a dash for Scotland, and reached the border without being apprehended. They left behind them a city in uproar, and an extensive police search proved fruitless. Although the students were questioned, they were never charged. After a year, Ian Hamilton yielded and left the Stone at Arbroath Abbey – fittingly, the site of the Declaration of Arbroath, a statement of Scottish independence submitted to Pope John XXII in 1320. But there was a rumour, which still persists, that a replica had been made of the Stone when it was repaired and fixed back into one piece by a Glasgow stonemason – and that it was a copy, rather than the original, which was returned to England. 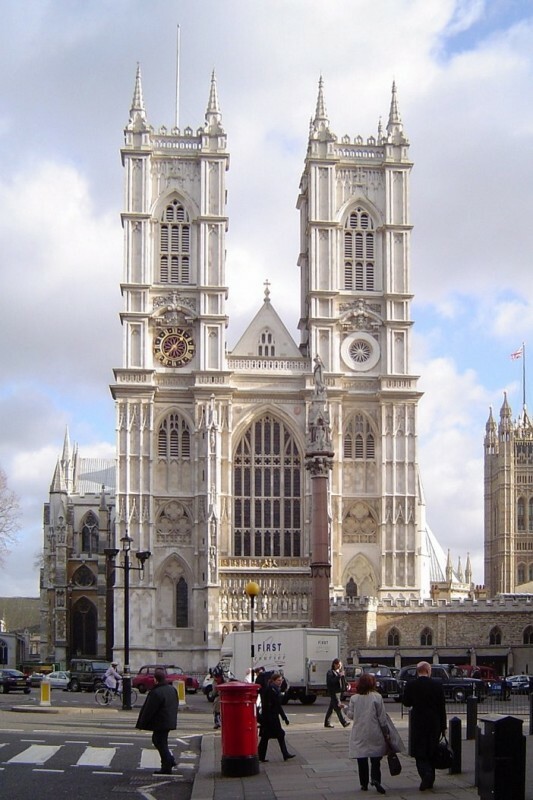 The Stone was restored to Westminster Abbey, where it lay under the throne for the coronation of Elizabeth II in 1953. However, in 1996 the British parliament decided to return the Stone to Scotland for the ‘last’ time – on condition that is was allowed back to London for subsequent coronations – and it was handed over amid much celebration and media coverage. 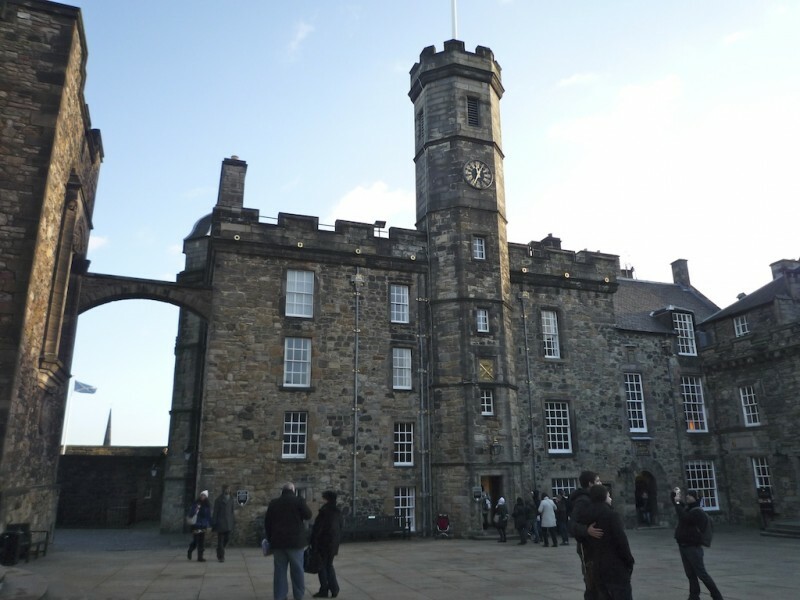 Scotland’s First Minister, Alex Salmond, believes that the Stone of Destiny in Edinburgh Castle is a 13th century fake, produced by the monks at Scone. Ian Hamilton, who has since written a book called ‘The Taking of the Stone of Destiny’, is convinced that it is the real thing. Who knows? Only the Stone itself! But if it isn’t, wouldn’t it be wonderful to find the original? What a wonderful story the stone has! Or rather, quite a number of wonderful stories. You’ve done a grand job of bringing it to life and I’ve learned all sorts of things in this post. I love that little Moot Hill Chapel, I’d like to see it for myself. I love the mystery surrouding this lump of rock and the thought that perhaps the real thing is lurking somewhere, hidden away for centuries. In the quiz I hovered over John Balliol, I think something in the far recesses of my mind was calling out to me, but I ignored it and went for the wrong answer in the end. THANK YOU SO MUCH FOR THIS LITTLE LESSON IN HISTORICAL INTRIGUE – VERY INTERESTING STUFF. I COULDN’T STOP READING , EVEN THOUGH YOU WARNED THAT IT MAY BE LONG. AAAAAAAAAAND TO THINK THIS IS STILL RELEVANT TODAY!!! I SURE HOPE TO READ MORE. SOON!!! Thank you very much, Marialla. Really glad you enjoyed it! There will be more history features along shortly! An absolutely interesting story: thanks for sharing. And not too ong – by all means not. I really enjoyed reading it. Thank you very much, Pit! Glad you enjoyed it. This is so interesting Jo, you always have fantastic history lessons. When in high school and I wasn’t day dreaming about playing in the woods, history class always had my attention. Thank you for doing what you do!!! Hmm, I never would’ve got the answer. Enjoyign your blog very much! I must admit I’m learning too! Thank you very much for your comment.